Hosted from Manly Beaen Australia, the "Coke Classic" exemplifies the modern surf festival. "Contest Surfer" is profiled thru the likes of Mark Richards, mike Lambrisi and Nea Post. The crowds are gone but the swells have hit, big time, and Surfer is there to catch 'em. Haliewa, Backdoor, and Rocky Point are pumpin' but so are the other forty spots on Surfings Promised Land. The Surfer Poll results are in! 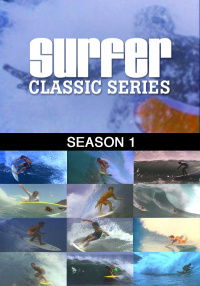 The top five men and women of surfing for 1988 are profiled, as performance in the water is translated into honor on the beach.